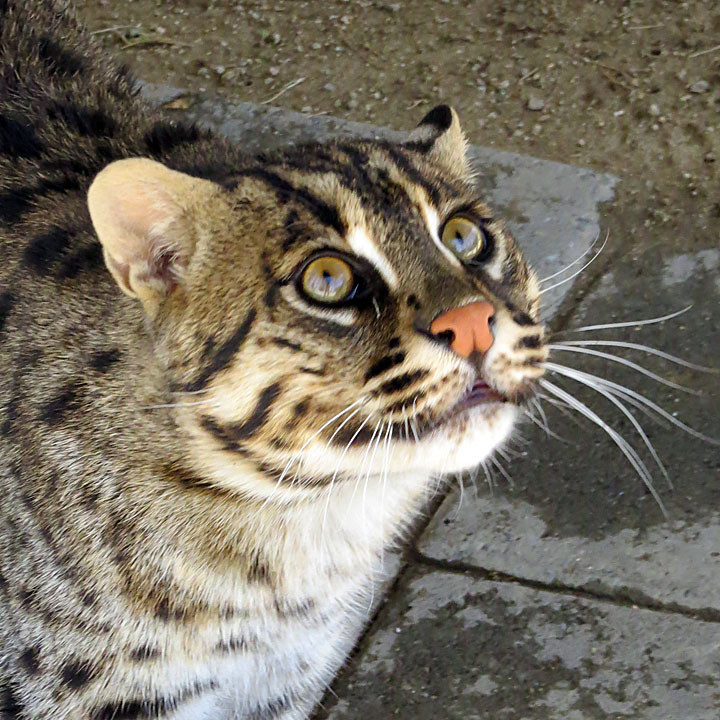 Now considered Endangered. 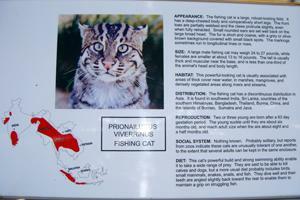 Native to riverbanks from India through Southeast Asia, these cats love to fish. At Twilight Tours we put live goldfish in the ponds for them to practice their fishing skills. They have partially webbed paws, and a double layer of fur so when they go in the water they don't get wet down to the skin. 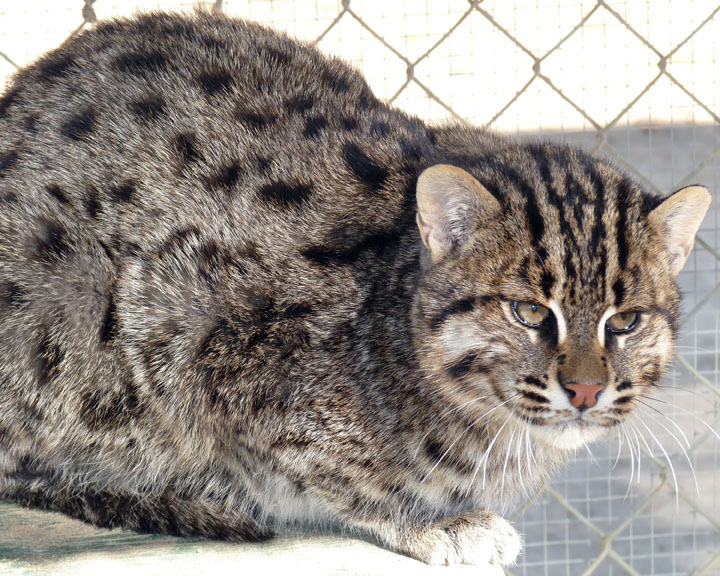 They don't have full claw sheaths (similar to the cheetah) so their claws are partially visible even when retracted. Although they have a substantial range in tropical Asia (over 1 million square kilometers), its actual area of occupancy is much smaller as it is strongly associated with wetlands. Water pollution and forest clearance for settlement threaten the species through much of its range. 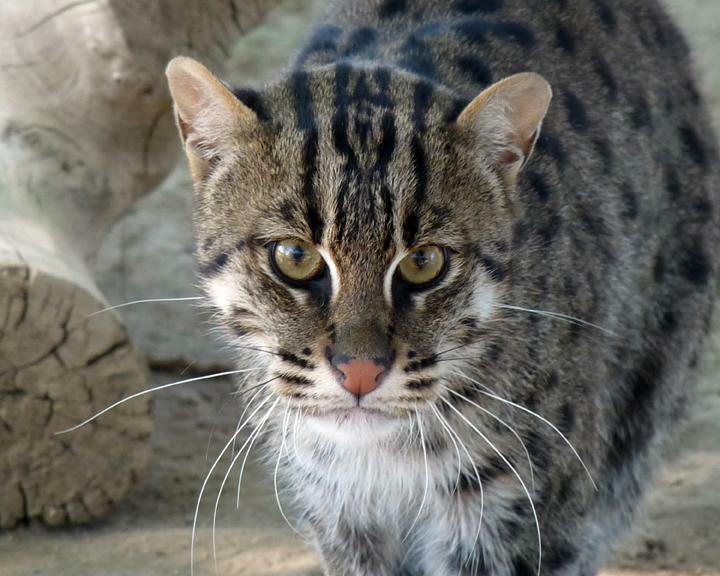 Deforestation rates in tropical Asia's wetlands are quite high, resulting in similar decline among the fishing cat populations.